Warning: major spoilers for Batman v Superman: Dawn of Justice are ahead! Lex Luthor has a long history of running his own massive corporation in both the comics and other media stories, and Batman v Superman: Dawn of Justice was no exception. Originally an oil and machinery company, Lex redirected LexCorp Industries’ focus to technology, and the result was it becoming the "premiere digital industrial company." However, following Lex’s incarceration at the end of the most recent DCEU installment, LexCorp has announced that it’s temporarily suspending its global operations. Ding, ding, ding, ding. Are we entering the second round? This post is just the latest way Warner Bros and DC have been plugging the DCEU’s LexCorp in the real world. Aside from creating a website for the company, LexCorp also "provided" Wi-Fi at the most recent New York City Comic-Con and launched several promotions for the Lex/OS operating system. Eisenberg’s Luthor also participated in faux interviews with Fortune and Wired, where he gave background on how he changed the company and what direction he was taking it. 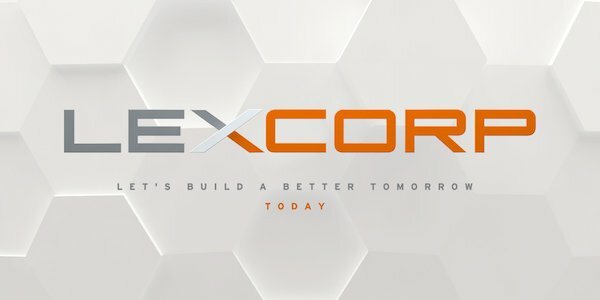 Unfortunately for LexCorp and its employees, Lex’s obsession with ruining Superman’s reputation and trying to see the Kryptonian killed proved to be his downfall, and now the company is also suffering the consequences of his actions. Timeline-wise, when Suicide Squad begins, LexCorp will essentially be inert, and it may need to undergo massive restructuring to separate itself from Lex’s crimes. After conspiring in the Capitol Hill bombing (which killed Senator Finch and his assistant Mercy Graves, among others), kidnapping Lois Lane and Martha Lane to blackmail Superman and unleashing Doomsday, Lex Luthor was finally arrested near the end of Batman v Superman: Dawn of Justice and thrown into prison. When Batman cornered him in his cell, the newly-bald Lex started talking about the "bell being rung" and someone coming, so his above comment is just more of his babbling. The consensus is that Lex was referring to Darkseid, who was teased earlier in Batman’s "Knightmare." The theatrical release didn’t make it clear how Lex knows about Darkseid, but a deleted scene online showed a SWAT team finding him communicating with a strange being that many believe is from Apokolips. With these newfound revelations, Lex doesn’t sound particularly concerned with losing the company he inherited from his father. 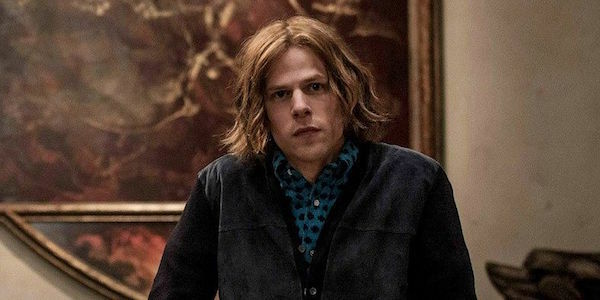 Jesse Eisenberg recently said he's not sure if he’ll reprise Lex Luthor for Justice League: Part One, but how popular the character is and his knowledge of things to come, it’s hard to believe he won’t be seen again at some point. That said, whenever he does return, he won’t have LexCorp’s resources to fall back on.